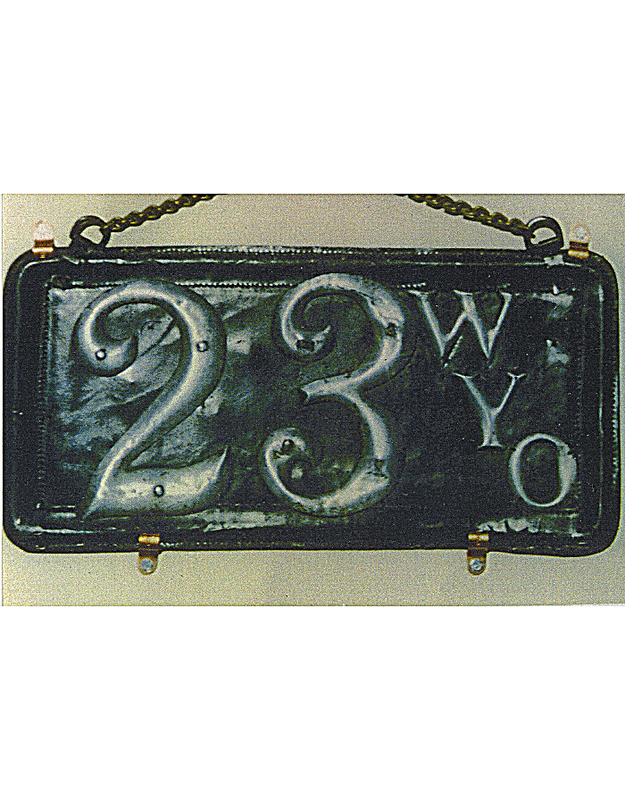 The state of Wyoming began registering automobiles in 1913 with an official state-issued license plate. 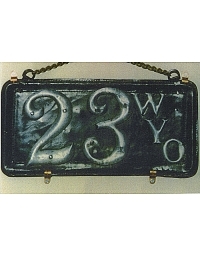 Prior to that year, the city of Cheyenne had passed an ordinance requiring owners to register with the local government and provide owner-made license plates. Casper, Laramie and Rock Springs may also have had registration systems in place, but there are no known license plates designated as such. There are no known Cheyenne license plates in collections, although city records document more than 500 registrations from 1906 through 1915. There was no requirement that the city name or initial be used on the tag, although one leather license plate – #C444 – has been attributed to Cheyenne. (It must be noted that a run of Connecticut plates bearing number C444 is also known for many years, beginning with the first-issue 1905, and this leather plate may be a part of that series). There are six known Wyoming leather license plates bearing the state initials but these are highly likely to be some city issue, perhaps Cheyenne tags. There is speculation that at least two of these leathers might have been made up for display purposes decades later after they would have been used.